This week I've been reading so much about the unusual snow in the south. We too received more snow this past week, but I can't remember exactly when. It's just that common place this winter. There is still several inches of snow on the ground here, even after a couple of warmish days, and it iced & snowed again today. In school this week we managed quite a bit of our core subjects, even with a day almost completely lost to Amber's appointments. Now that Amber's activities are now all grouped on only two days we are able to focus on school much easier. 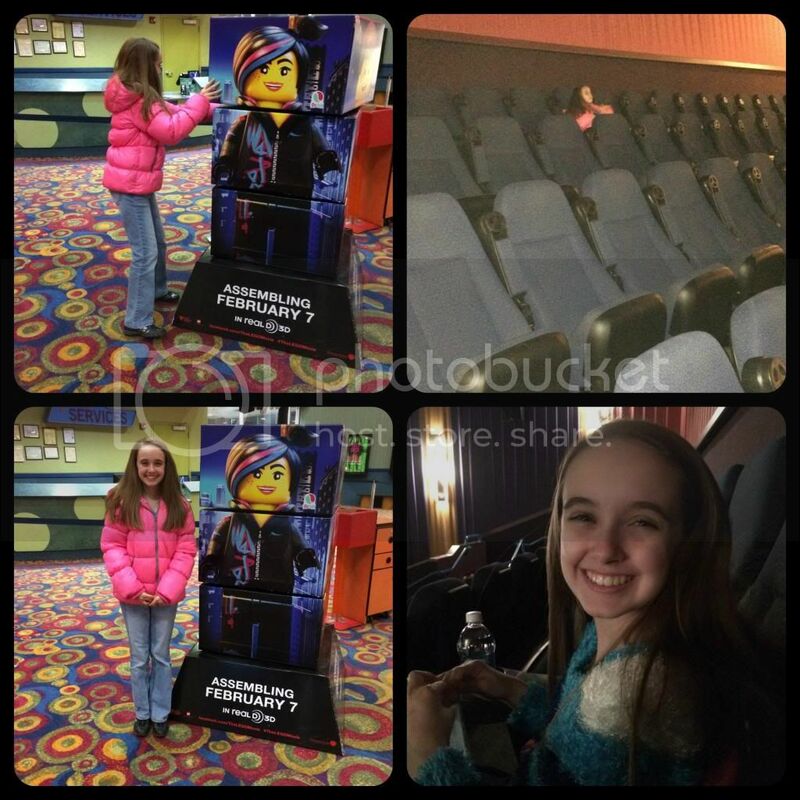 We went one evening this week to see the LEGO Movie. Total of 8 people in the theater by the time the previews were over. History was probably the best represented subject this week. Amber is has been studying Sparta and is finding references to it in daily life. I remember this time in my life, when I started to "get" the cultural references around me. This is the fun time to watch a child blossom. Amber also completed a whole chapter in Latin this week. I keep thinking about switching Latin programs next year, but Amber is learning and she enjoys Latin for Children. I'm not sure why I continuously feel the need to look at other Latin programs. This one is working perfectly for Amber and fits her learning style. Still, I keep wondering if there is a better program. Despite completing a significant amount of core subjects, this week has really been all about fine arts. Amber started the week working on her Valentine's box for the homeschool group's valentine's day party (that was today!). She also made a total of 70 valentines for the kids attending. All of that took several days and quite a few hours of her time. (TOP) Working on her Valentine's Box. She ended up winning "Cutest Box" in her age group. (BOTTOM-LEFT) Amber's special heart snickerdoodles. (BOTTOM-RIGHT) No candy this year, but Daddy brought Amber her very first flowers, complete with teddy bear. Art class at the Painted Pot had a hiatus for this week, but will be back next week. It's hard to believe we actually had more art that could have occurred. Amber's homeschool art class has been reduced to one hour from two hours, which left her with two hours of time to fill during the homeschool group class time because I decided to join an adult Bible study through the homeschool group. This is the first time in... forever that I've felt able to join a group of my own. Oddly enough, since the homeschool group meets at our new church (I love to say that), the Bible study is being led by one of our pastors. The art teacher, who is quickly becoming one of Amber's favorite adults, offered to let Amber join in the last half of the earlier section of the art class Amber takes. Then Amber and her friend decided to join the drama group for the next hour. This means Amber still gets two hours of her original art class, just with two different groups of kids, plus a bonus drama class. Did I mention that the drama class is performing The Hobbit this semester? It couldn't be more perfect. Originally, Amber was terrified of just the idea of taking drama. After getting to know the kids in the homeschool group she felt comfortable enough to join drama class when the opportunity opened up. I'm so proud of Amber for trying new things and giving these kids a chance to show her that not everyone is judgmental. 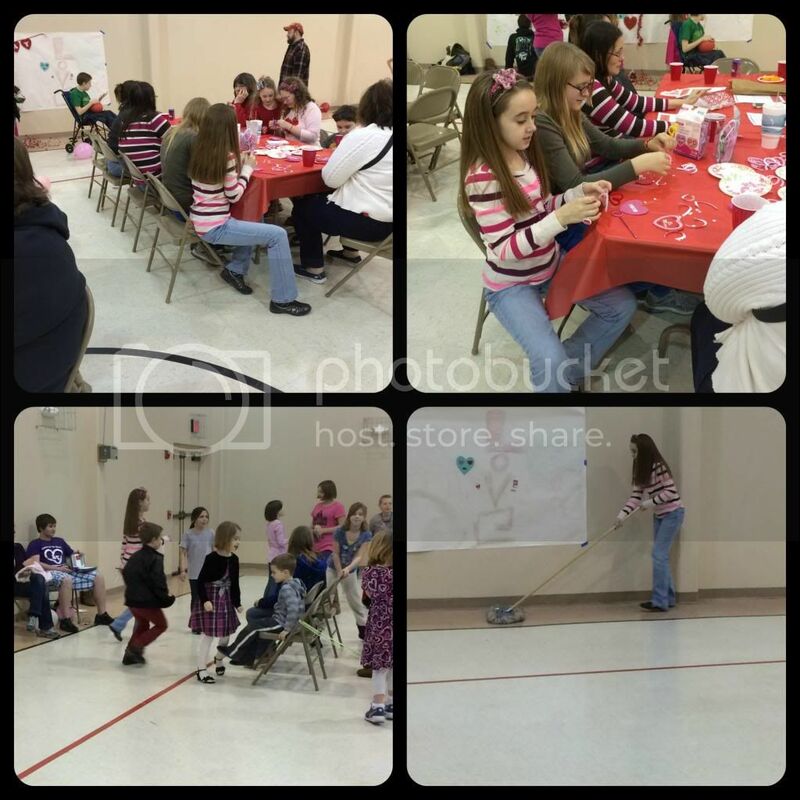 Homeschool group Valentine's Day party. Amber even voluntarily cleaned up after the party. Band and flute are still going wonderfully. Amber finds the other members of the band to be nice and funny. She always has such great stories to tell from band practice. We also picked up Amber's new flute last Saturday. Amber decided the sound was perfect and it didn't need the gold embouchure plate. Whew. Monday was a bit of a sad moment for Amber when we returned the rented flute. It was her first flute and she felt a little attached to it. Still, I wasn't paying for a rented student flute when we had just purchased a Trevor James Cantabile flute. Amber did finally have her first confirmation class this week too. She carefully completed her first worship report on Sunday so that it was ready for class later in the week. Amber's confirmation class is smallish and she was welcomed into the group easily. Amber even opted to study this week so that she can take the Old Testament summary test and catch up with her class. This is not required, but she has chosen to put forth the effort. This week has really highlighted the new relationships that Amber is foraging with the children at church, both Sunday School and confirmation, in the homeschool group, and in band. There is a little overlap of kids in all of these groups, but for the majority it is three separate groups. We have seen such a difference in Amber just in the past two weeks. Next week is one of our "break" weeks. In reality, it means that we won't do any official book work, but Amber still has all of her activities, her daily flute practice, and some art work to complete too. At least break week gives us both a rest from the regular school and some time to goof off together. What a great week. I hope you enjoys the drama class. How fun! I love all of the opportunities you give Amber. Great week again Christy! 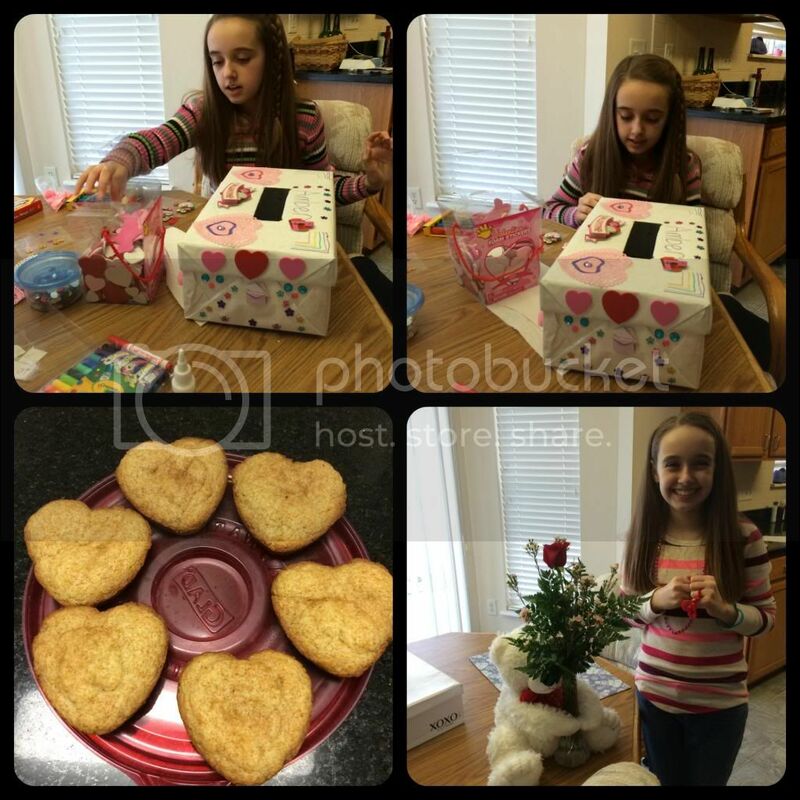 I love her Valentine's box and I can't believe she made 70 cards!! I am so glad she joined Drama and is loving it!! I think Drama is so good for kids. Amber just seems so busy doing wonderful things all the time! Isn't Homeschool the best? It so good to see a happy, healthy, and involved Amber! I'm glad you're taking some time to feed your own soul as well! 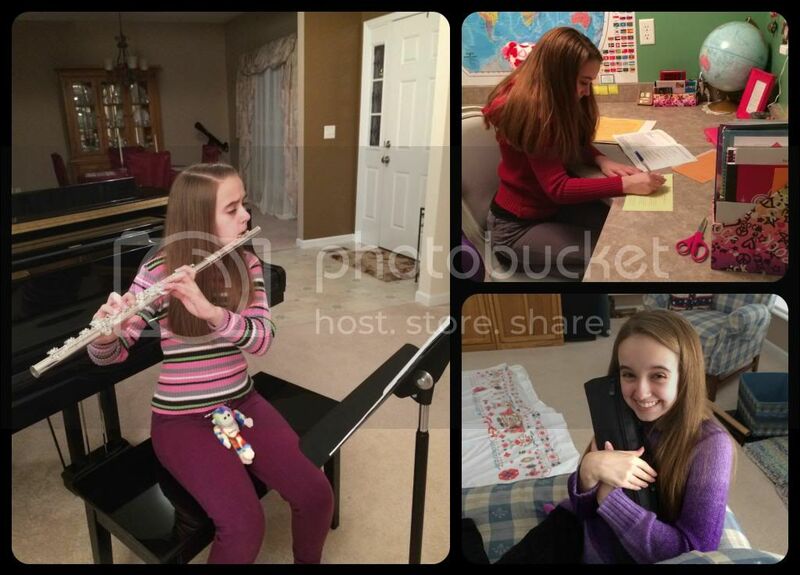 Homeschooling moms of special needs kids don't get that chance very often!